The Eighteen Kabuki Plays by Tadamasa Ueno - Terrific kabuki portrait from a wonderful series by Tadamasa Ueno illustrating famous characters portrayed by the Ichikawa Danjuro line of actors. 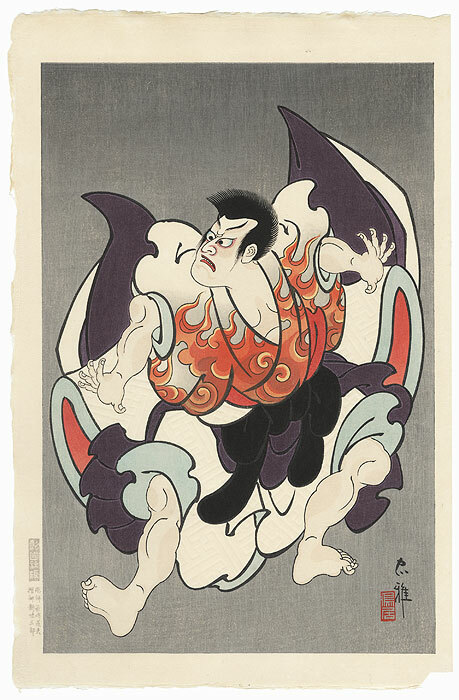 The "Kabuki Juhachiban" or "Eighteen Kabuki Plays" showcases the best representations of the dramatic "aragato" style in the Ichikawa Danjuro repertoire. 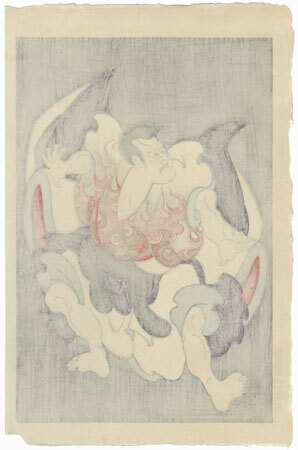 Tadamasa chose these striking roles as the subject of his 1952 - 1953 series published by Shokokusha. He brings these characters to life with large expressive figures, many embellished with wonderful details such as shimmering mica and embossing. 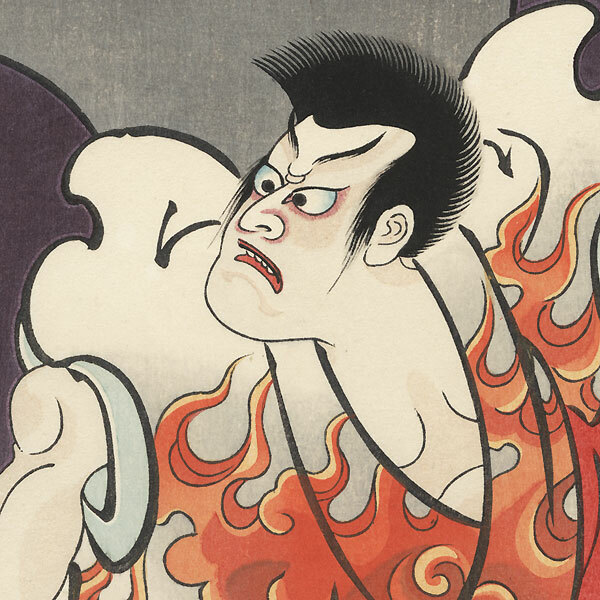 Many of the "Eighteen Kabuki Plays" are still performed today, so these classic subjects are a fantastic choice for a kabuki enthusiast. Special detail - Embossed geometric pattern on the white kimono.